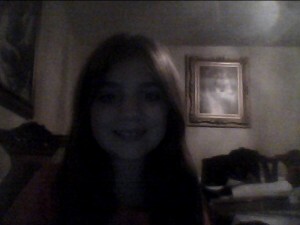 MY NAME IS BROOKE SPETELUNAS AND I AM A THIRD GRADER AT THORTON ELEMENTRY SCHOOL IN JOHNSTON RI . MY CLASS IS LEARNING THE WATER CYCLE AND WHY I WAS LOOKING FOR INFORMATION I CAME UPON WATER STRAWS AND I WOULD LOVE TO HELP RAISE MONEY FOR SUCH A GREAT CAUSE . I HOPE THAT I CAN RAISE ENOUGH TO MAKE A DIFFERENCE. I THINK MY TEACHER AND MY PRINCIPAL MRS. DENHAM WOULD LOVE THE IDEA OF ME STARTING A FUNDRAISER FOR SUCH A GOOD CAUSE.